J. Barton Kalsu joined the Company in August 2007 as Chief Accountant and Vice President, Finance, and has been responsible for managing the Company’s financial operations since joining the company. He was promoted to Senior Vice President, Finance in 2011. Prior to joining the Company, Kalsu worked for JPMorgan Chase Bank as Vice President, Commercial Banking, from June 2005 until August 2007. From April 2002 until June 2005, Kalsu worked for Red Hat, Inc. as Senior Director of Finance. Prior to 2002, Kalsu worked in public accounting for Arthur Andersen LLP. Kalsu holds a B.S. in Accounting from Oklahoma State University. Jason Bliss has served as our Executive Vice President, General Counsel and Secretary since April 2014. Bliss previously served as Senior Vice President, Corporate Development and Legal Operations and Assistant General Counsel. Prior to joining SolarWinds in 2008, Bliss was an associate at DLA Piper specializing in mergers and acquisitions, capital market transactions and licensing. Prior to DLA Piper, Bliss was a technology consultant with Accenture. Bliss earned a J.D. and an M.B.A. from Duke University and a B.S. in Engineering Science from the University of Virginia. 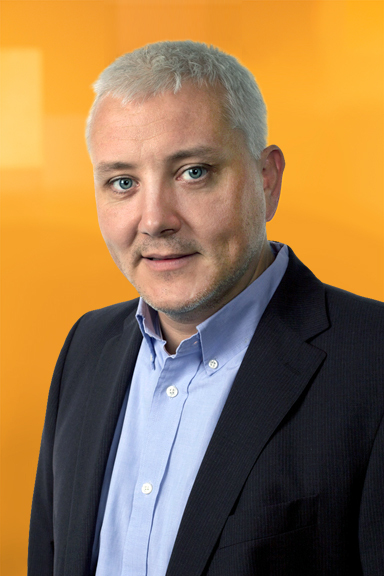 David Gardiner is the Executive Vice President of International Business for the EMEA and APAC markets at SolarWinds. David brings more than 17 years of IT sales, business development, and senior management experience, of which nine years has been at SolarWinds. At SolarWinds, David is responsible for driving international strategy, business development, partnerships, and overseeing the international sales teams. Prior to SolarWinds, David worked as Director, Business Development for Motive; Manager, Business Development for BroadJump; and in channel business development for Trilogy. David holds an Honours Bachelor of Business Administration from Wilfrid Laurier University. Joe Kim is the Executive Vice President of Engineering and Global Chief Technology Officer at SolarWinds, responsible for the overall technology strategy, direction, and execution for SolarWinds 30+ IT management products and systems. Previously, Kim was the General Manager of Hewlett-Packard® Enterprise’s Transform business unit responsible for product strategy, management, engineering and execution of five new, innovative products in the IT Operations Management (ITOM) space, and the CTO for HP Software’s Application Delivery Management (ADM) and ITOM businesses responsible for leading the development of transformational technologies and forward-thinking ideas. He has held other executive leadership roles at General Electric, Berkshire Hathaway, and several start-ups. Kim holds a Bachelors in Computer Science, and Criminology and Law Studies from Marquette University. John Pagliuca joined SolarWinds with the acquisition of LOGICnow, where he served as chief financial officer. He now leads the SolarWinds MSP business, overseeing sales, customer retention and success, support, marketing, financial planning and analysis, and business applications. Prior to LOGICnow, Pagliuca was VP of finance and operations for GFI Software. Doug Hibberd serves as our Executive Vice President, President Business Operations. Prior to his current role, Hibberd held a number a senior management positions at SolarWinds, including Senior Vice President, Engineering and General Manager of Asia-Pacific Operations. Prior to joining SolarWinds, Hibberd was Vice President, Engineering at RealVue Simulation Technologies, Inc., a provider of custom simulation software to the commercial, industrial and manufacturing sectors, from September 2004 until May 2006. Hibberd was Vice President, Engineering at ForwardVue Technologies Inc., a provider of supply chain risk management software and services, from November 2001 until September 2004. He holds a degree as a technician in mechanical engineering from Sydney Technical College and has received fundamentals of engineering certification from the National Council of Examiners for Engineering. Darren Beck joined SolarWinds from Guaranteed Rate™, where he also served as CMO. In his nearly 20-year career, he has built a track record of defining strategic vision and executing cross-functional initiatives to realize aggressive goals. He has held a number of senior leadership positions, managing all aspects of marketing and demand generation, including advertising, digital marketing, web development, and public relations for companies including LendingTree®, Capital One®, and Wal-Mart®. David Owens serves as our Senior Vice President, Finance and Operations, EMEA. Prior to joining SolarWinds in 2007, Owens worked for Red Hat, Inc., an enterprise software company, for over seven years, where he served initially as Director of Global Logistics and Production and then as Senior Director of Finance- EMEA. Owens qualified as a chartered accountant with Ernst & Young and is a member of the Institute of Chartered Accountants in Ireland.